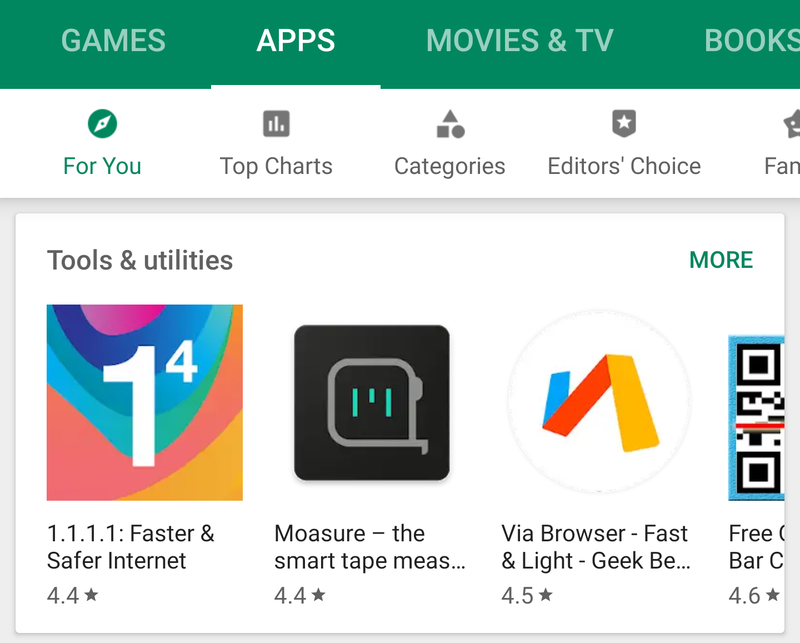 Some users have noticed a new tab order and naming on the Play Store. Instead seeing Home and then Games, the Games tab goes first, and next up is an Apps tab. The latter doesn't show any games, only apps, unlike the Home tab which had a mix of both. Left: Current Play Store tab order. Middle & Right: New order. It's better to have a dedicated tab for apps, but it's curious to see games get the honorary priority over them by being first. 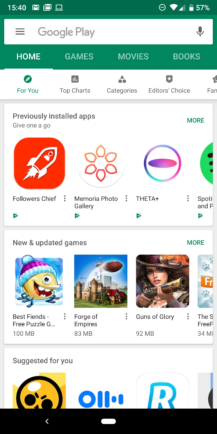 If you consider how much money Google must be making from games versus apps, and the fact that users are more likely to frequently look for new games and not apps, the change makes sense. The second change is something you may not notice until you look closely at the middle screenshot above (or all the ones below). On every small app "card," the overflow button is gone. We currently use this button to open or install an app, signal we're not interested, or add it to the wishlist. So what replaces it? There's a new gesture. Tap and hold anywhere on the app's icon or name and a pop-up menu will spring up from the bottom with those same options. Left: Current overflow button and pop-up menu. Middle & Right: New pop-up menu. This new menu looks more in line with many of the modern Material Design changes. The big colorful buttons are also more appealing, and they match the new accents of each Play Store section. For movies, they're the new shade of red/magenta; for music, the less vivid orange. The new menu works in all Store sections and take the corresponding color accent. Since these are server-side changes, some users have none of them, others have one of the two, while a few have both. I guess we'll have to wait and see if they become permanent or if Google decides to try other looks later.